Coordinating an efficient Office Move can often times tax even the most capable manager or executive. 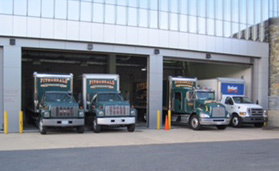 Fitzgerald Commercial Movers provides more than 35 years of experience in executing office moves that minimize downtime. We are office moving specialists who bring a very specialized set of skills to every assignment. Everything arrives on time and is delivered to the new location in great condition. As an added benefit, Fitzgerald also offers Certified Records Destruction, ensuring documents and data are properly destroyed and disposed of ensuring they never fall into the wrong hands. Your Fitzgerald contact is available before, during and following the move to ensure questions are answered and issues resolved quickly and to your complete satisfaction. Besides greater Washington DC, Fitzgerald Commercial Movers provides comprehensive office moving services to the Alexandria, VA, Fairfax, VA and Baltimore, MD areas. Contact Us to learn how Fitzgerald uses its knowledge and experience to execute stress-free office moves that stay on schedule and on budget.